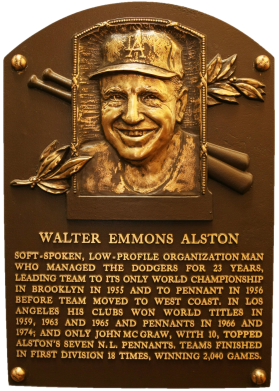 "Smokey" Alston struck out in his only big league at-bat.In 23 years at the helm of the Dodgers, however, all under one-year contracts, Alston led the club to seven pennants and four world championships. Under his patient leadership, the Dodgers made pitching and defense a winning combination. His career record is 2,040 wins and 1,613 losses for a .558 winning percentage. Comments: In 2003, this slot was occupied with a 1964 Topps issue. I recall buying a '52 Parkhurst PSA 5 to replace it sometime in April, 2005 on eBay. 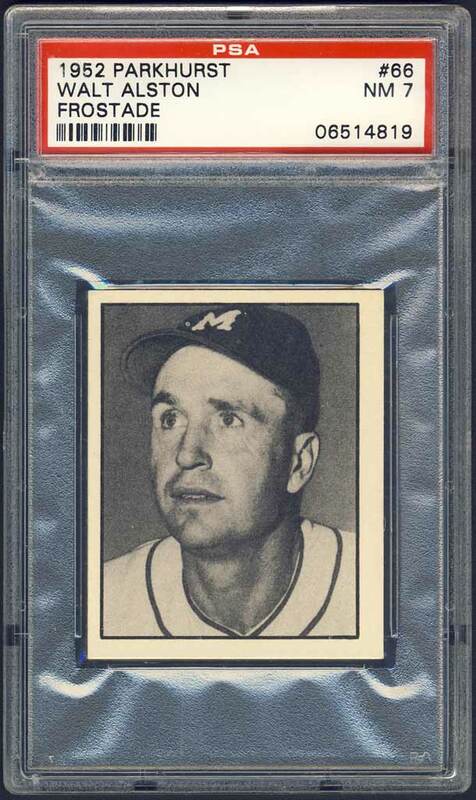 Then, in 2008, I found this beauty sitting in a dealer case at The National Sports Collectors Convention. It made my show. 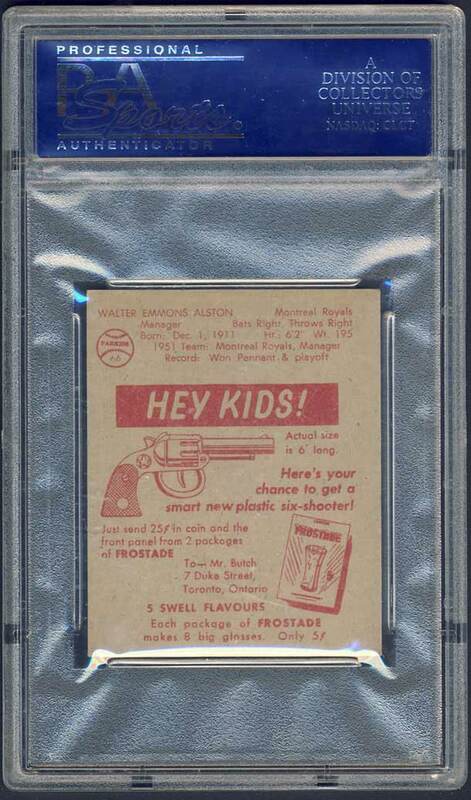 Currently, this PSA 7 is the highest graded example in the country. I enjoy reading the back advertisement. Slightly touched corners. Clean reverse. 40-60 centering. Description: Produced by a Canadian competitor to Kool-Aid, this 100-card set features players from three International League teams, the Toronto Maple Leafs, Montreal Royals and Ottawa Athletics, along with cards featuring baseball playing tips and quizzes. Measuring 2" X 2-1/2", the cards feature black-and-white player photos on front. 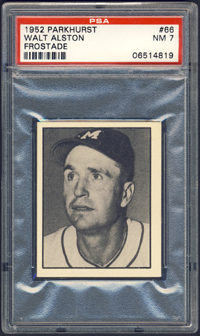 Backs are printed in red and have a few biographical details, 1951 stats and an ad for Frostade.